Join the family fun walk and put your foot down against brain cancer. The 6th annual Footprints for Brain Cancer is a 4km family fun walk held in support of Brain Cancer Action Week. Founded in 2014 by Dianne McGinn, the walk has raised over $100,000 for Cancer Council Queensland. The event was founded in 2014 by Dianne McGinn a nurse, wife and mother to two beautiful children. In October 2012, Dianne received the devastating diagnosis that she had an aggressive and life threatening brain tumour, gliobastoma multiforme (GBM). Despite the emotional, cognitive and physical changes experienced throughout the treatment, Dianne was determined to do something to make a difference and organised her Footprints for Brain Cancer event. The walk brings together the community, local businesses and schools, brain cancer patients and their carers to help ensure no Queenslander faces brain cancer alone. Sadly, Dianne passed away in 2015. Dianne will be lovingly remembered as a courageous woman and tireless champion of Cancer Council Queensland’s vision for a cancer free future. 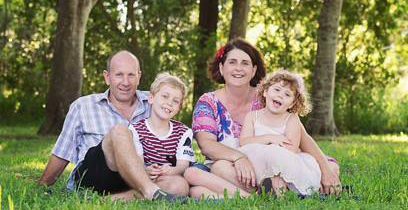 With the help of Dianne’s friends and family, Cancer Council Queensland is proud to honour her legacy, and continue Footprints for Brain Cancer. 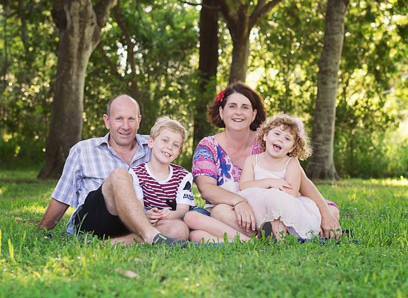 Let’s walk together to keep Dianne’s legacy alive and raise funds for brain cancer research.